When searching for a hangover cure on the web most health websites will tell you to simply drink a lot of fluids and wait out the pain. While this is a tried and true method, it’s also outdated and doesn’t do much to address the real damage caused by alcohol consumption other than dehydration. Fortunately, we are learning more and more about what really causes hangovers and what we can do to negate the debilitating after effects. A hangover is defined as the experience of various unpleasant psychological and physiological effects after the heavy consumption of alcohol, specifically ethanol which is primarily found in beer, wine and distilled spirits. Hangovers can occur at any time of day, but are more commonly experienced in the morning after an evening of heavy drinking. They last for several hours, and in some cases, for over 24 hours. The severity of a hangover is closely related to the amount of alcohol consumed, and if the sufferer had ample sleep. Experts claim that the less sleep, the worse the hangover. While it is virtually impossible to determine how much alcohol can be safely ingested to prevent a hangover, it depends on the individual and an interplay of factors like the circumstances that day, how tired he was before he started drinking, whether he was dehydrated before he started drinking, whether he drank lots of water during the drinking session and how much sleep he got afterwards. Alcohol prods the body to produce more urine. Alcohol will make you urinate more often and this can cause dehydration, which is often indicated by excessive thirst, lightheadedness and dizziness. Alcohol prompts an inflammatory response from the immune system. The body’s immune system may activate certain agents that typically produce physical symptoms, such as decreased appetite, inability to concentrate, memory problems and loss of interest in usual activities. Alcohol can cause blood glucose level to fall. Once your blood glucose level dips too low, you may experience mood disturbances, weakness, fatigue, shakiness and even seizures. Alcohol causes your vasodilation or expansion of blood vessels, which in turn can lead to headaches. Alcohol can make you drowsy, but the quality of your sleep will decrease. This can leave you tired and groggy. Alcohol irritates the lining of the stomach. Alcohol has been proven to speed up the production of gastric acid and delays stomach emptying. These can cause nausea, vomiting or abdominal pain. Alcoholic drinks contain ingredients called congeners which provide the distinct flavor and smell of many types of distilled alcoholic beverages. Congeners are byproducts of the fermentation process and are found in high concentration in red wine and dark liquors like bourbon, brandy, tequila and whiskey. White wine and clear liquors like gin, vodka and rum have fewer amounts of congeners and therefore cause less severe and less frequent hangovers. Examples of congeners include aldehydes and esters. After ingesting alcohol, the body converts ethanol to acetaldehyde by an enzyme called alcohol dehydrogenase. The acetaldehyde is then converted to acetic acid through oxidation. These chemical reactions also transform nicotinamide adenine dinucleotide (NAD+) to NADH via redox reaction. Alcoholic beverages cause an imbalance of the NAD+/NADH redox system and make otherwise normal body functions more difficult to proceed. Consequences of the redox changes in the body include increased catabolism of amino acids, increased fibrogenesis, increased triglyceride production, ketoacidosis, lactic acidosis, hyperuricemia, and inhibition of the tricarboxylic acid cycle, also known as Krebs cycle or citric acid cycle. Glucose and insulin metabolism are also affected. However, recent studies revealed no significant link between the severity of hangover and the concentrations of various electrolytes, hormones, triglycerides, free fatty acids, ketone bodies, lactate, glucose and cortisol in blood and urine samples. Alcohol also activates the CYP2E1 enzyme, which turns ethanol and other compounds into more reactive toxins. Moreover, the enzyme is activated during binge drinking and plays a role in inducing a dangerous condition called oxidative stress which can cause cell death. A family history of alcoholism. Having family members or close relatives with a history of alcoholism may indicate an inherited problem with the manner by which the body metabolizes alcohol. Drinking on an empty stomach. This accelerates the body’s alcohol absorption. Not sleeping well or having adequate sleep after drinking. According to some researchers, some hangover symptoms are often caused, at least in part, by poor-quality and short sleep cycle that usually follows a bout of heavy drinking. Using drugs like nicotine along with alcohol. It appearsthat the combination of smoking and drinking increases the likelihood of experiencing a hangover. While the hangover is still poorly understood from a medical point of view, science has started to uncover some trends in heavy alcohol users and there are now more effective solutions than ever. Below we will cover some of the latest and greatest options, but note that there is still no silver bullet hangover cure that will have you waking up fresh as a daisy. Also known as Ampeloptin or Ampelopsin, DHM is a flavanol that shows promising results as a hangover remedy and counteracting the effects of acute alcohol intoxication based on trials performed on both animals and humans. 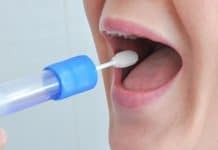 Research has been ongoing for years and even double blind tests revealed similar amazing results, a reduction in a desire to drink and nearly zero side effects from binge drinking. Simply stated, DHM works by inhibiting alcohol from exerting its effect on GABA receptors in the brain. Theoretically, this ought to reduce certain feelings associated with intoxication as alcohol is known to amplify the excitatory neurotransmitter called glutamate. When DHM is taken before drinking, alcohol cannot affect GABA so you don’t feel heavily intoxicated. When DHM is taken after a bout of booze, it can speed up the rate at which one sobers up. In 2008, the Korea Food & Drug Administration approved the use of DHM to help liver recovery among alcohol abusers. This has further heightened interest in the compound, both in mainstream and alternative health circles, with the hope that it could be the new and more effective means of treating alcoholism. Milk thistle is a flowering herb that’s indigenous to the Mediterranean, but grows in the wild throughout the world. There is an age-old claim that it can prevent a hangover if taken before drinking alcohol. 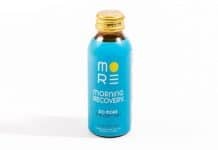 The theory behind its potential effect on alcohol metabolism derives from its active ingredient – silymarin, which is a potent antioxidant that protects the liver and also helps the organ to regenerate itself when damaged. Experts recommend taking pills made from milk thistle dry extracts to ensure a higher quantity of silymarin. Research indicates that milk thistle supplements seem to have the most promise in mitigating and repairing liver damage linked to alcoholic hepatitis and even early stage alcoholic cirrhosis, especially among alcoholics who have already stopped drinking. However, there is less reason to believe that occasional, moderate drinkers will reap any benefit from milk thistle. This is because of a different manner by which alcohol is metabolized in moderate drinkers when compared to heavy drinkers. In the former, the main enzyme system that metabolizes alcohol is called alcohol dehydrogenase (ADH). Milk thistle has yet to show any effect on this particular enzyme system. In chronic drinkers, however, a different enzyme system called microsomal ethanol oxidizing system (MEOS) is upregulated to deal with alcohol metabolism. It appears that MEOS is the enzyme system that milk thistle interferes with. Moreover, laboratory studies indicate that it may reduce the harmful by-products of alcohol metabolism that cause liver damage. Drinking deprives the body of these precious vitamins so including them in your nutritional arsenal can help uncomplicate a hangover. Research shows that the body turns to B-complex vitamins during times of stress. Overtaxing your system with alcohol certainly qualifies as stress. Replenishing your supply of these vitamins can help shorten the duration of your hangover. A study showed that vitamin B6 in particular reduced the number of hangover symptoms by about 50 percent. The bottom line is that it is beneficial to take a vitamin B-complex supplement before a night of alcohol overindulgence to prevent a nasty hangover. Take the supplement again when you arrive home or the next day. Women must take a B-complex supplement that’s rich in folic acid after drinking alcoholic beverages because it helps in negating the increased risk of breast-cancer that’s associated with frequent and heavy alcohol consumption. This plant holds the distinction of being one of a handful of hangover cures to go through clinical testing. The researchers posit that prickly pear extract is capable of reducing liver inflammation triggered by a night of heavy boozing. They added that prickly pear tempers hangovers by moderating the body’s inflammatory response and reduces the effects of congeners. However, it is important to note that proponents of prickly pear cactus hangover products suggest dosing several hours before alcohol consumption. Further tests are still being conducted, but it had been shown that the risk for severe hangover can be reduced by 50 percent if you take 1,600 International Units (IU) of prickly pear extract five hours before drinking. Electrolytes are present in the body, and the balance of these chemicals is important in the normal function of cells and organs. 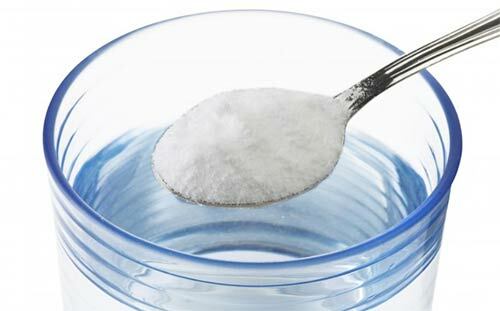 Specifically, the major ions of electrolytes are what’s essential, and they include sodium, potassium, magnesium, calcium, chloride, bicarbonate, hydrogen phosphate and hydrogen carbonate. These play a crucial role, at least in dealing with hangover, because maintaining an intricate balance will allow your body to effectively regulate hydration. Bear in mind that alcohol is a diuretic so you tend to lose fluids and electrolytes when you drink heavily. 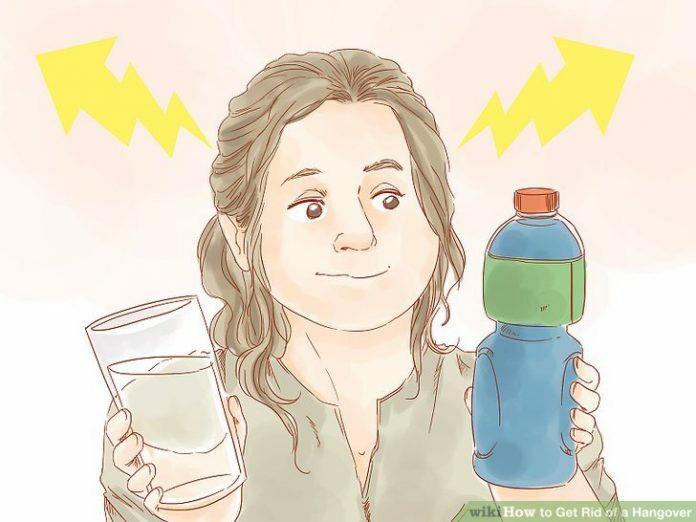 This is precisely the reason why many advise guzzling Gatorade and other sports drinks to help in alleviating hangover symptoms, particularly the nagging headache. 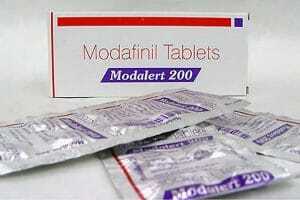 It is believed that the symptoms of hangover are caused by low magnesium levels. Depletion of this valuable mineral can be the reason behind your loss of appetite, lethargy and excessive fatigue. Consume any of these: almonds, artichoke, spinach, cashew, pumpkin seeds, oat bran, soy milk, beet greens and brown rice. 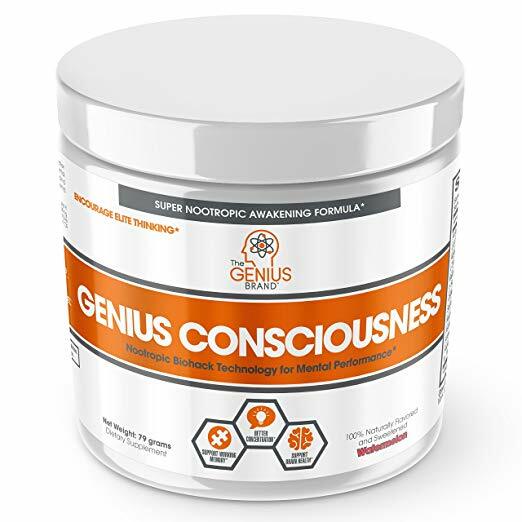 A form of the amino acid cysteine that stimulates the production of glutathione, a powerful antioxidant that prevents damage to vital cellular components by reactive oxygen species like heavy metals, free radicals, peroxides and lipid peroxides. Glutathione is quickly depleted when alcohol enters your system and has to be replenished. 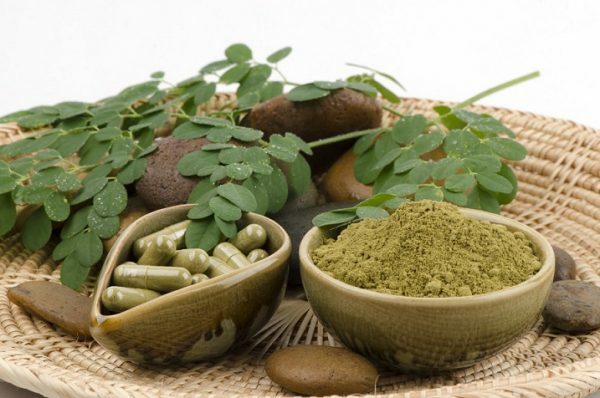 NAC also boosts the body’s immune system and its ability to eliminate toxins. It is actually what doctors administer if you get hospitalized for alcohol overdose. If given early enough, NAC can prevent liver failure. That’s how potent it is. NAC is known to help reduce aldehyde toxicity which causes most hangover symptoms. Advocates recommend taking at least 200 mg about 30 minutes before drinking to help mitigate the toxic effects of alcohol. This has been a centuries-old remedy for the relief of nausea, heartburn, acid indigestion, and other intestinal ailments that frequently accompany a hangover. It can be taken in capsule or powder form before drinking or the morning after. The rationale is for the body to digest enough carbon through supplements so the compound can absorb toxins and metabolites from the blood. Alcohol is known to induce headaches because it stimulates the production of acetate in the body. Researchers found out that a combination of caffeine and over-the-counter anti-inflammatory drugs works best at countering the effects of acetate. A 2010 study revealed that the caffeine in coffee and the anti-inflammatory ingredients in painkillers reacted favorably against the chemical constituents of ethanol. Note, however, that if you have a hangover and you missed on your regular serving of coffee, the symptoms will only get worse because caffeine increases blood pressure and will constrict your blood vessels. Some people believe that they can “sweat out” the alcohol after a night of partying. Medical opinion states otherwise and holds this could be dangerous because the combination of alcohol and hyperthermia increases the chances of cardiac arrhythmias and dangerous drop in blood pressure. Up to a third of toxins are excreted through the skin and you can hasten the process by taking a hot shower or a soak in the tub. 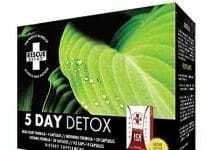 To speed up the detoxification process further, you can add a spoonful of wasabi powder into your bath or use wasabi bath salts. Based on anecdotal reports from individuals with access to a breathing oxygen supply (i.e. military pilots and medical personnel), oxygen can reduce the symptoms of hangovers. The assumption is that the increased oxygen flow caused by oxygen therapy improves the body’s metabolic rate, and therefore increases the rate by which the body breaks down toxins. People have been taking ginger for centuries to reduce nausea and vomiting. Try munching on crystallized ginger when you have a hangover. According to The National Institutes of Health, early research revealed that consuming a combination of ginger, brown sugar and tangerine pith before drinking decreases the severity of nausea and vomiting. Modern research suggests that this ancient herb’s main phytocompounds may hold the key to decreasing a person’s alcohol desire. Kudzu preparations have drawn attention as potential aids for alcohol withdrawal support. According to a widely publicized university study, its active ingredients reduced alcohol craving in animal experiments. Kudzu preparations are available in capsule form or as a liquid extract. This is in direct contrast to what has been mentioned above. However, the rationale is that drinking more alcohol following the onset of a hangover will ease the symptoms. This is based on the theory that hangover is a form of alcohol withdrawal, so satisfying the body’s craving for alcohol will relieve the symptoms. A Bloody Mary works because the alcohol it contains starts to act on the chemical receptors in the brain to boost the feeling of pleasure. The chemical reaction then starts to overpower the symptoms, thus allowing you to feel at least a momentary relief. However, research indicates that the use of alcohol as a cure for hangover seems to predict current or future alcohol use disorder through physical dependence and negative reinforcement. Load up on NAC, milk thistle extract, and B Vitamins. NAC is a form of the amino acid cysteine and is known to help increase glutathione, which is what your liver uses to metabolize alcohol. Take NAC 30 minutes before you drink to help lessen the alcohol’s toxic effects. NAC is thought to work even better when combined with B Vitamins, particular B1 and B6. Vitamin B6 may also help to lessen hangover symptoms since alcohol has shown to deplete levels of critical B vitamins in your body. Milk thistle contains silymarin and silybin, antioxidants that are known to help protect the liver from toxins such as alcohol. Not only has silymarin been found to increase glutathione, but it may also help to regenerate liver cells and prevent liver damage. Recommended Product:PreToxx4.5REVIEWER0USERS(0 votes)Ease of Use4Value3.5Head Symptoms4.5Stomach Symptoms4.5SUMMARYPreToxx is a heavy duty dose of liver boosters (NAC, prickly pear, milk thistle), B vitamins, and electrolytes. This covers all the bases when it comes to hangover prevention. 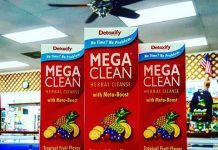 I’ve tested this product on many occasions and it is one of my favorites in the prevention category. When used properly, it does seem to keep my hangover symptoms to a minimum, especially headache, mental fog, and that general feeling of anxiety you normally have after a big night of hitting the bottle. I still find I occasionally have some nausea or upset stomach, but I’m not sure there is any way to avoid that after a long night of knocking back Maker’s Mark. My main gripes with this product are: 1) taking 6 big pills in a night is kind of a pain and sometimes I’ll forget to take the extra dose when I get home 2) the bottle doesn’t last, since 60 capsules is only good for 10 real servings Still, the price has come down to a point where this is a decent value for the results you get. Let’s face it, you don’t want to carry a pocket full of pills out to the bar with you when you’re trying to have a good time. So enjoy your night out, but try to have a glass of water every chance you get. Alcohol is a diuretic (which is why you have to use the bathroom constantly) and staying hydrated will be a big help when tomorrow rolls around. Most of all though, this really works well for me. I’ll usually take one capsule after my first few drinks of the night, drink a big glass of water before bed, and I wake up feeling fine. When I know its going to be a heavy night of drinking, I’ll sometimes take another right before bed (again, with a big glass of water or sports drink). I’ve taken this dozens of times and rarely ever wake up feeling more than a little dehydrated. Immediately after you’re done drinking, take 1,500mg of Dihydromyricetin and wash it down with a large glass of water, Pedialyte, or coconut water. DHM speeds up the body’s ability to metabolize alcohol and acetaldehyde and also reduces the effect alcohol has on the brain’s GABA receptors. When excess alcohol is waiting to be metabolized by your liver it circulates through your blood stream and into the brain where it effects two neurotransmitters, Glutamate and GABA. 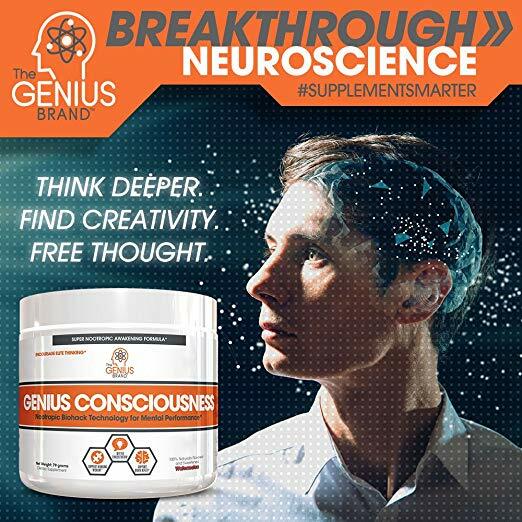 DHM helps lessen the “rebound effect” your brain experiences after consuming alcohol by binding to GABA receptors in your brain and blocking the effect alcohol has on them. Recommended Product:DHM4REVIEWER0USERS(0 votes)Ease of Use4Value4Head Symptoms4.5Stomach Symptoms4SUMMARYI decided to give DHM a shot after reading loads of medical research about it online. Dihydromyricetin (DHM) is a natural extract of the Oriental Raisin Tree and has been used for centuries in traditional Chinese medicine as a hangover cure and intoxication blocker. It has more recently been the subject of study in the United States. Based on my own testing, I’ve found that the most effective way to take it is to pop one before you head out for the night, and then take 2 more when you get home at night along with as much water or sports drink as you can handle. Taking it while drinking does indeed take away the intoxicated feeling you get from the booze, but isn’t that the whole point of going out drinking? I’m not sure why you would want to feel sober during your night out drinking. That said, this definitely does reduce hangover symptoms across the board and the science says it also protects your liver and brain from the negative effects of alcohol. The price is also fair, making this product a winner in my book. Just be sure that if you do take it during your night out you don’t end up behind the wheel, because although it does feel like it sobers you up, it doesn’t actually reduce your BAC. If you’re feeling hangover symptoms the following day then the damage has been done, but you can still treat the symptoms. Take an NSAID painkiller (like Ibuprofen) and drink plenty of fluids. You can also take caffeine to improve mental alertness and treat your headache, but note that caffeine is a diuretic which can make dehydration worse. Keep downing electrolyte enhanced liquids like coconut water or Pedialyte and take L-Theanine to reduce the jitters that sometimes come with caffeine use. *Never take acetaminophen (Tylenol) the day after drinking as this can cause liver damage. Recommended Product:Blowfish for Hangovers4REVIEWER0USERS(0 votes)Ease of Use5Value3.5Head Symptoms4.5Stomach Symptoms3SUMMARYThis is a fairly bare-bones hangover relief product designed to ease the symptoms of a hangover after they have already happened. It doesn’t do anything to protect the liver and it doesn’t contain any ingredients to address the stomach distress caused by a night of heavy boozing. That said, it is the only FDA approved hangover product on the market. Talk to your physician before trying any of the aforementioned alternative treatments. Bear in mind that natural does not always mean safe. Your physician can explain the potential risks and benefits before trying a particular treatment. In addition, there is currently no empirically proven procedure that is recommended for the prevention of hangovers, except abstinence or moderating the quantity of alcohol consumed.